Between busy days at the office and getting the kids packed for school in the morning, sandwiches become a real staple in our routine. What we love about this recipe is it packs a ton of flavor and nutrition into a meal that is easy to eat on the go and also perfect for lunchboxes alike. 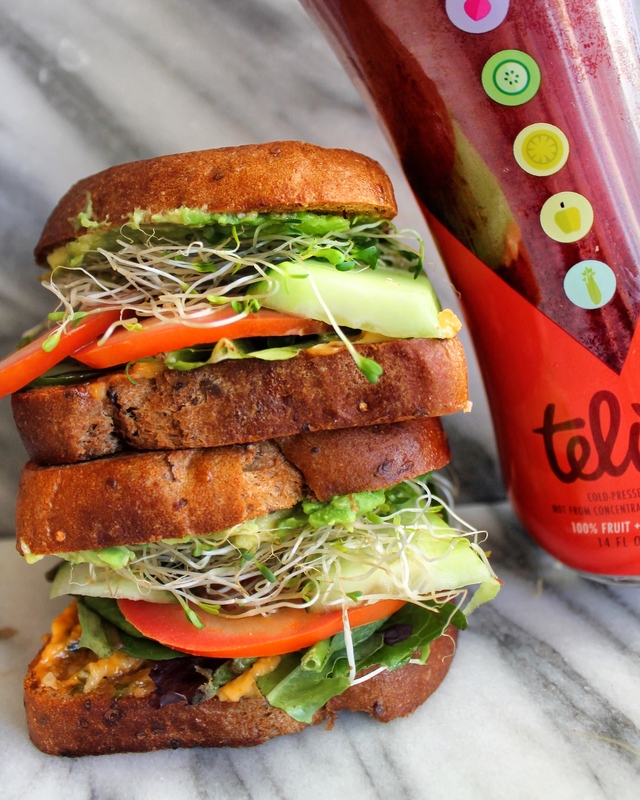 Paired with Telula Cold-Pressed Beet Carrot Juice, this combo makes us want a sandwich everyday. Be sure to check your local grocery store juice aisle or click here to find Telula Cold-Pressed Juice near you! Currently, they are having a sale at Whole Foods but hurry, it won’t last long! Toast the four slices of gluten-free bread. On two halves, spread the sundried tomato hummus. And the other two halves, spread the avocado.